The Dutch Shepherd is truly a hidden treasure, and you will not find a more beautifully colored dog in any other breed. This breed is of Dutch origin, and they are a highly unique breed with their signature brindle coat in short, long or wire coat hair. They typically have black stripes on a gold or silver bottom, with dark ears and facial hair. That beautiful coat does tend to shed, but by brushing them weekly and giving them occasional baths, keeping their shedding under control is a breeze. According to the American Dutch Shepherd Association, they are between 21.5 and 24.5 inches tall, and around 65 pounds full grown. Many of their facial features are similar to the more popular German Shepherd. In fact, they are often mistaken for German Shepherds because not many people know about this beautiful breed. As part of the herding dog group, the Dutch Shepherd’s original duties included keeping flocks of sheep safe and herding them to certain areas. Farmers and shepherds needed a dog that could do more than just herd their livestock. They needed a dog that could adapt to the environment and also assist with other duties around the farm. Because of their rich history, they are a highly loyal pack dog and will do nearly anything to please you, and are still protective over their domain. It takes brains to work a field of sheep or cattle, so it is no surprise that they are extremely intelligent. They do need mental stimulation, so creative games or several daily walks are beneficial for them. That’s not the say they don’t enjoy relaxing on a lazy Sunday, though. Providing several different ways to stimulate their mind will ensure that their brain stays sharp and they stay in good health. If you are considering adopting a Dutch Shepherd, one thing is guaranteed. You won’t go a day without laughing or smiling at their silly antics. From hopping in the air like a rabbit to burying their nose in a cushion, their personality is one that not many other breeds can beat. In the past, this breed was responsible for sending the sheep out to graze in the morning and bringing them back into the barn at night. They did this on their own, without instruction from their owners. Their drive to work and to be independent is very unique. However, this does mean that the Dutch Shepherd can be stubborn and relentless. Regardless of this, they are still one of the most loyal dog breeds around. They will steal your seat in the house, and then look up at you with innocent eyes, as if saying “You weren’t keeping that warm for me?” Couch potatoes have nothing on them, and you can be sure you’ll have a cuddle buddy on those cold winter mornings. They are very healthy dogs, and not as susceptible to common health concerns as other breeds, although it is still recommended to have them checked for hip dysplasia as a preventative measure. As far as other health concerns, the Dutch Breed Club reports that there are no serious mental or physical issues commonly seen in the breed. You can rest assured that your dutch shepherd will likely not need many trips to the vet! Keeping them on a normal diet and ensuring they are not overfed will ensure that they stay as healthy as possible. Whether you have a newborn, toddler, or teenager, these dogs will be kind and gentle with the whole family. After her daily exercise, I often leave my Dutch Shepherd with my children while I clean the house, and it isn’t long before I hear giggles because the shepherd is licking their face and rolling on the floor trying to get belly rubs. They are great with children and other animals and are loyal to their family. They LOVE belly rubs! (But honestly, what pup doesn’t?) They will be the first to nudge your hand for some head rubs or rest their paws on your lap when you’re sitting on the couch. They will rub their face into your leg to show you they love you and will be happily greeting you at the door, even if you’ve only been gone 2 minutes. They need their person, and they don’t have a problem showing that. As their history shows, they are adaptable to many different environments. Whether you live on a ranch or in an apartment, the Dutch Shepherd will be happy simply being by your side. Regardless of where you live, the Dutch Shepherd needs exercise. You can even live in a tiny house with a Dutch Shepherd; as long as you take them for walks, play fetch, and work on their training every day, they will be more than happy. They are used in police work and in the military, which shows that they can be trained to do a lot and process a lot of information. As an intelligent breed, you can train them to do nearly anything you’d like as long as the groundwork is done. Basic obedience training should always come first, but once that is done, the sky is the limit when it comes to training your Dutch Shepherd. Just take a look at this amazing video of a two-year-old dutchie showing off his skills. Not many people can say they know what a Dutch Shepherd looks like because they are not a common breed. Early breeders adopted such strict requirements for the shepherds they bred, that the breed itself has suffered in numbers. Today, there are efforts being made to preserve the breed, and they are soon going to be recognized in the American Kennel Club as an official dog breed. Their popularity is slowly increasing, and for good reason! The Dutch Shepherd is an amazing dog. They need responsible owners, plenty of exercise and mental stimulation, and a family to call their own (even if that’s just you), and they will be happy. 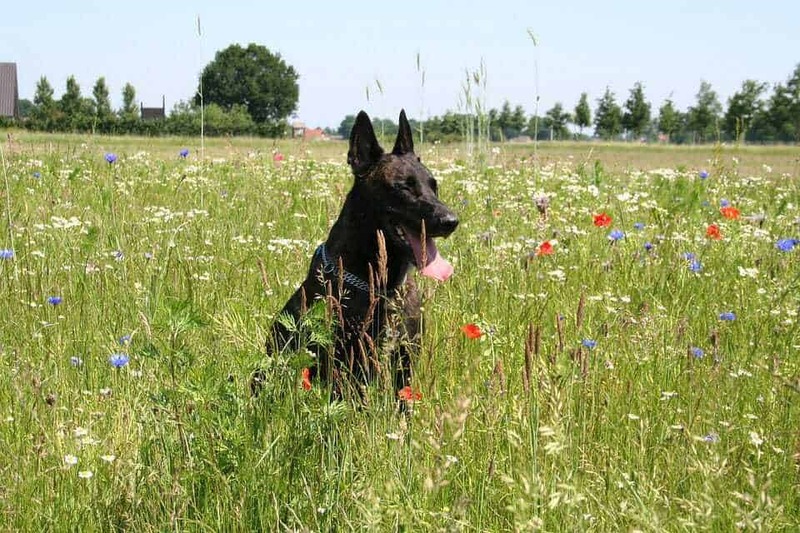 Overall, the Dutch Shepherd is an amazing breed, and they would be a perfect fit for nearly everyone.